With Giannis resting, Brook Lopez and company helped fill the superstar&apos;s shoes and picked up the win against the Lakers. Published March 20, 2019 at 9:56 a.m. 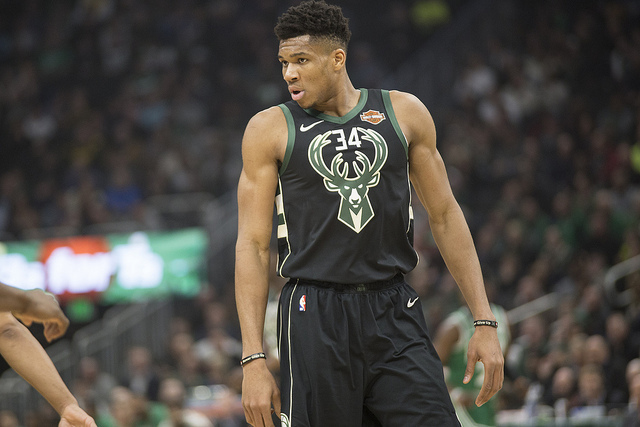 While almost every fan at sold-out Fiserv Forum was disappointed to not enjoy a heavyweight showdown between the Greek Freak and the Los Angeles Lakers' LeBron James, with both stars sitting out with day-to-day injuries, the Bucks still fought hard to maintain a three-game lead over the Toronto Raptors for the top spot in the East. 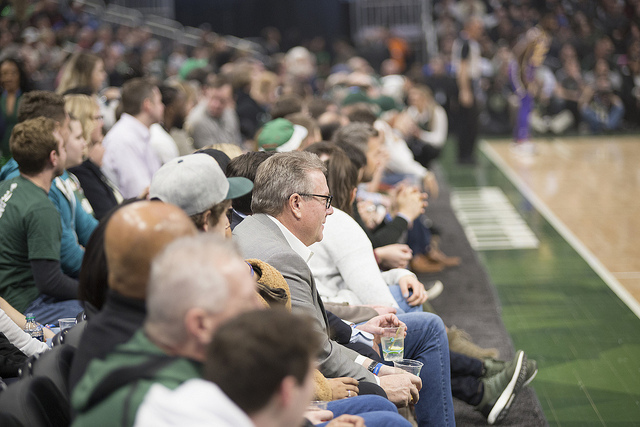 Although the all-star game captains were forced to sit out, the sixth man in Milwaukee surely didn't as the packed crowd energized the Bucks to a 115-101 win over the Lakers. 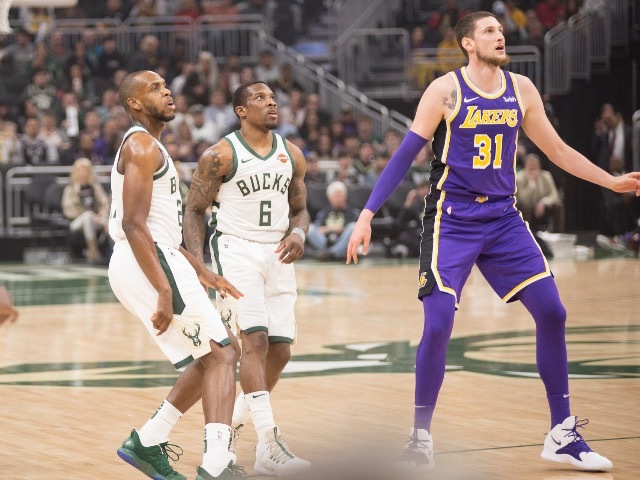 Here are our favorite (as well as our not so favorite) things from the Bucks' home win over the Los Angeles Lakers. After falling at home to the 76ers and with the Toronto Raptors just 2.5 games behind the Bucks for the top spot in the East, Tuesday night's game certainly didn't lack in importance, even with LeBron and Giannis sitting out. The Lakers are just 31-39 on the season and 13-23 on the road, so there was a lot of pressure on Coach Budenholzer to rally his team and avoid a large upset. Thankfully the team did just that, as the Bucks avoided their first back-t0-back losses at home on the year with their 14-point victory. With Giannis out, it was anyone's guess who would lead the team to victory. 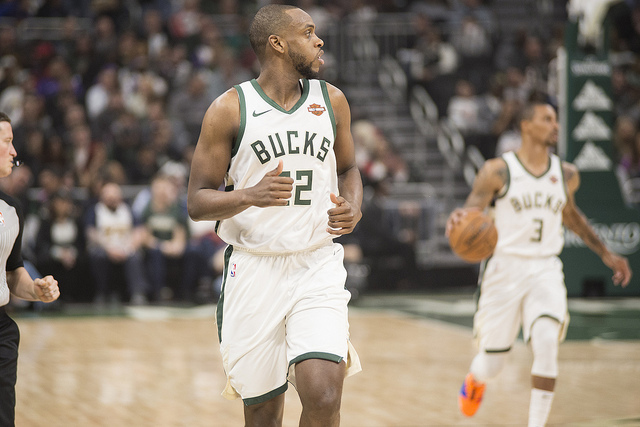 Although not just one player was expected to account for the Greek Freak's numbers, it was Khris Middleton who took the lion's share of the burden. Khris Middleton had a great night on Tuesday, leading all Bucks' scorers with 30 points. Middleton also added 10 rebounds and five assists to his stat line while helping the Bucks get the win. Although many were disappointed to see Antetokounmpo out of the lineup, the silver lining is that the Bucks have put themselves in a position to give him some rest over the 82-game regular season, keeping our MVP relatively fresh for the playoffs. Milwaukee still holds on to the best record in the entire league, and with a multi-game cushion between the Bucks and the Raptors, Budenholzer was able to play it safe with Giannis' knee sprain. Especially after losing Malcolm Brogdon six to eight weeks with a foot injury, it's pivotal that the rest of the roster stays healthy. While Middleton had a great night, the Bucks' remaining starters and role players also needed to help pick up the slack. Without Giannis, the team would have no shot at a NBA Finals appearance, but it's good to know that the rest of the team can relieve Giannis of the heavy lifting in April and May if he's having an off night. 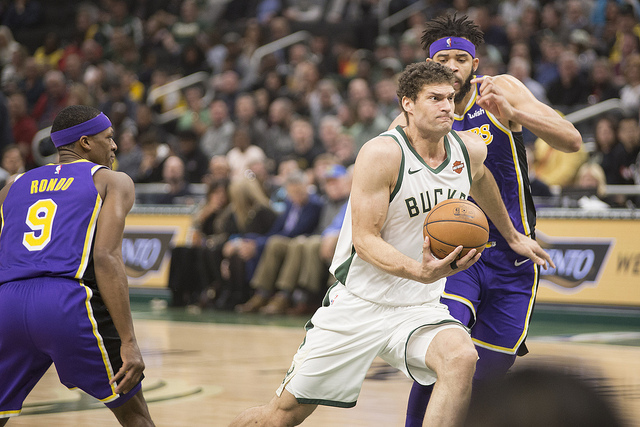 In addition to Middleton's 30-point performance, Brook Lopez and Nikola Mirotic also did their part during Tuesday's game, putting up 28 and 23 points respectively. Although it's "root, root, root for the home team," it's no surprise that LeBron James helped ticket sales for the weekday matchup. 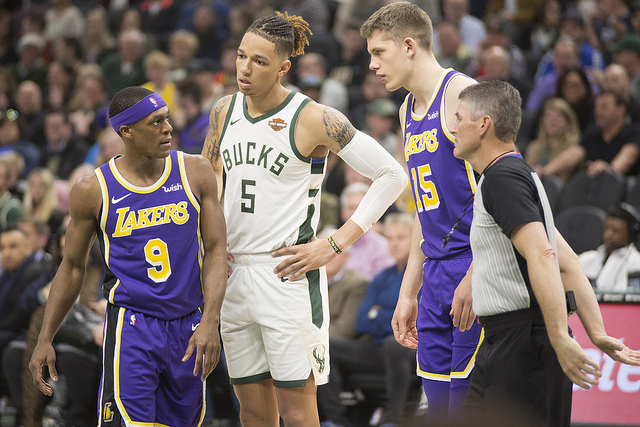 Fans made sure to get their tickets early before the season started to see the Bucks host James for his first game in Milwaukee as a Los Angeles Laker, as well as the team's only visit at Fiserv Forum all season. Unfortunately, though, with injuries, a subject-to-change lineups that come with professional basketball and the final act of a lost season, LeBron James' day-t0-day groin injury made the superstar a last-minute scratch on Tuesday. 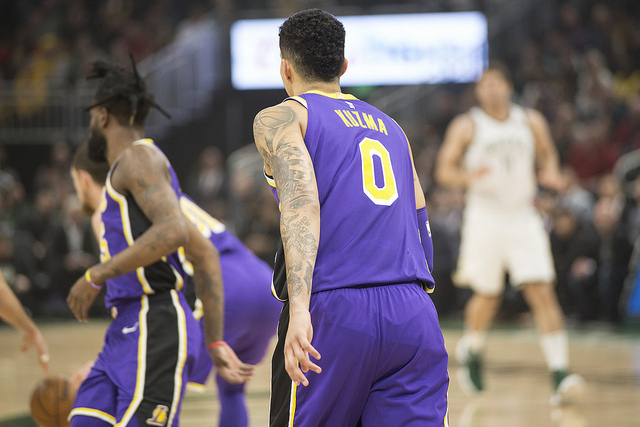 This late into the season, the Lakers' playoff hopes are virtually gone; there wasn't a lot of sense in pushing James' injury for a relatively meaningless game for the Lakers. Of course LeBron wasn't the only superstar out of Tuesday's lineup, as the Bucks chose to sit their all-star as well. 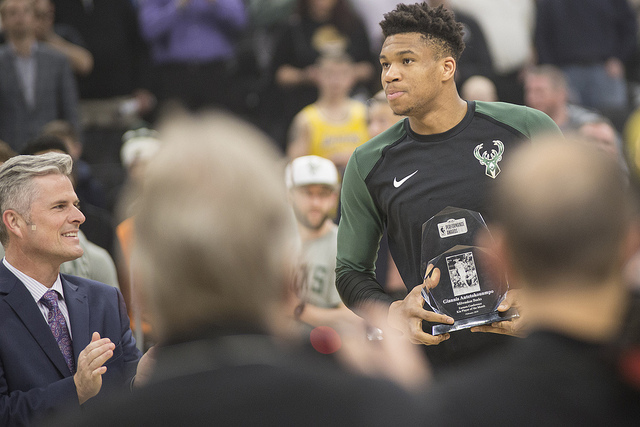 As mentioned before, it's definitely good that the Bucks are in a position to play it safe and keep Giannis healthy for the playoffs, but fans were clearly upset that they weren't able to cheer on their MVP. If you felt shorted that you weren't able to enjoy the highly anticipated showdown between King James and the Greek Freak, at least you aren't the fan who spent nearly seven grand on courtside seats for Tuesday's game. $6,970.50 is the amount (including fees) that one fan purchased for courtside seats for Tuesday's LeBron-less and Giannis-less Lakers Bucks game on StubHub. You never know who will hit the court any given matchup, and this fan certainly paid the price for that expensive lesson. If you're looking forward to the next opportunity to watch LeBron James and Giannis go head-to-head, you have some waiting to do. Since the teams almost surely won't meet in the postseason and because the Lakers only come to town once a year, Milwaukee fans will have to wait until next season to see LeBron James suit up for the Lakers in Milwaukee for his first time. Let's just hope that when that happens, it's the return champions hosting LeBron and the Lakers.